Despite being an investigator for almost two decades, analysing the Indonesia AirAsia flight QZ8501 will be one of the toughest challenges for Nurcahyo Utomo, who knew the pilot personally, according to a report in the New Straits Times Online, quoting viva.co.id. Investigators are often unnerved with having to hear the repeated desperate pleas to God just before a crash takes place. The National Transportation Safety Committee investigator, Nurchayo, said listening to recordings from black boxes over and over again could be disturbing and required utmost mental strength. “We are listening to a recording that represents the last moments before the crash and it is disturbing. There are times where the investigators would get unnerved listening to the recording,” he said. Analysing the recording while listening to their final words like “Allahuakhbar” repeatedly, give the investigators goosebumps, Nurcahyo said. “It is as if we can feel them… Allahuakhbar, Allahuakhbar were (usually) the last words said before they died. “Despite the heavy heart we cannot escape from the task. Hearing the last conversation would be the key to reveal the cause of the AirAsia crash. “We will know what really happened from the conversations between the pilot and co-pilot prior to the crash,” he said. 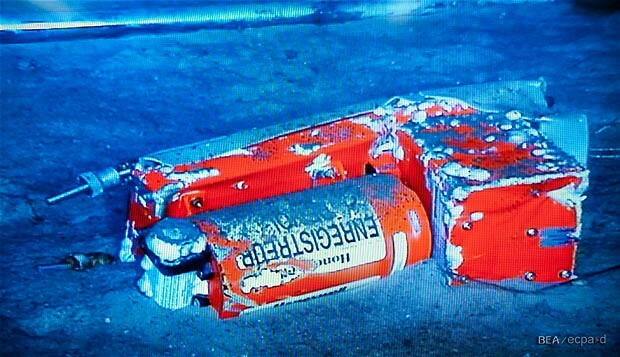 The task of analysing the black boxes would be harder for Nurcahyo who was a junior to the pilot, Captain Iriyanto. “Iriyanto was my senior and he is the one who taught me how to fly. “I cannot imagine how I am going to listen to his last words,” he said.